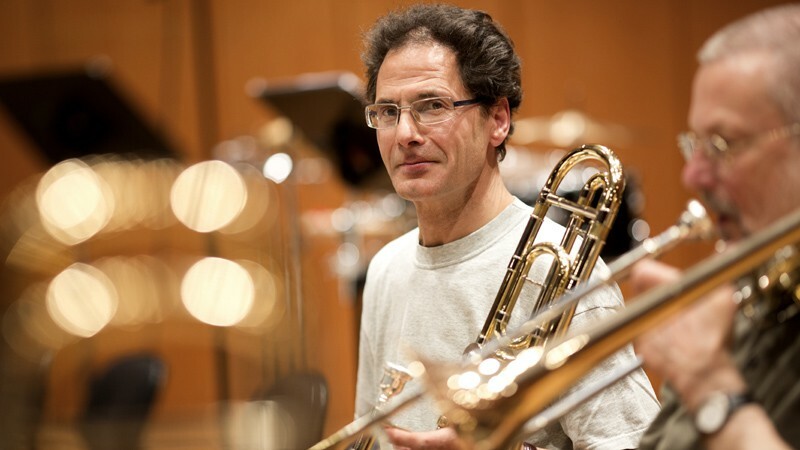 Born in South Tyrol, Hansjörg Profanter gathered his first musical experiences playing in the local wind band at the age of 14. Later he took a performance degree in trombone with Ennio Guidetti at the Claudio Monteverdi Conservatory, Bolzano, and with Michael Stern at the Tyrolean State Conservatory, Innsbruck. Hardly had he turned 20 than he was appointed solo trombonist at the Teatro Regio in Turin. One year later he switched to the same position at the Bavarian State Orchestra in Munich, headed by Wolfgang Sawallisch. In the following year, 1979, he became solo trombonist in the Bavarian RSO, where he has already played under four great principal conductors: Rafael Kubelík, Colin Davis, Lorin Maazel and Mariss Jansons. He also makes guest appearances with other leading orchestras, including the Berlin and Munich Philharmonics, the Bamberg SO and the Accademia Nazionale di Santa Cecilia in Rome. He enjoys playing chamber music in such formations as the Munich Gabrieli Ensemble, the BRass Ensemble (Munich) and the contemporary music ensemble Windkraft. Since 2011 he has held a guest professorship at the Claudio Monteverdi Conservatory in Bolzano.